I've always felt left out of being labeled - for example, when the whole "California native" bumper stickers started showing up back in the day, I couldn't claim that, as I wasn't born there, even though I'd lived practically my entire life in California. 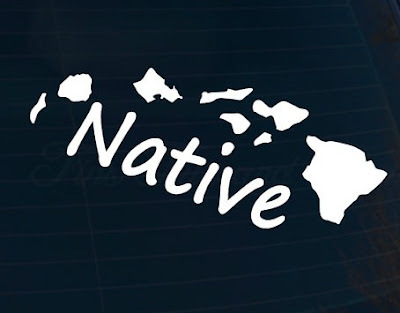 But to look at me, you wouldn't exactly say I was a Hawaii native, even though I WAS born there. And with that, I also couldn't claim the "military brat" thing since my dad was only in the Navy for four years - I just happened to be born while he was still in the service and stationed in Hawaii. Then there's the age deal...technically, my birth year falls into the Baby Boomer range, but just barely. I always felt too young to be called a Baby Boomer. And in watching the new season of Survivor, Gen X vs Millennials, I'm hearing that Gen X covers 1963 - 1982...so that would make me Gen X?? I don't think so, but then a Baby Boomer I'm not, either. Another thing that renders me labelless. I didn't fall into any particular labels in school - I wasn't a jock (HAHAHA for days on that - I took classes like badminton and Frisbee in P.E. to avoid any kind of cardio)(and also I didn't want a ball thrown at me), a cheerleader, or a nerd. I managed to go through all those years of school without ever falling under a label, which is possible, despite what the movies and TV shows tell you. And then I started blogging, and became a diet blogger. But that wasn't all of me, and even though I received a little publicity now and then for losing weight, I didn't want to always be known as a diet blogger. Plus I stopped dieting, but you wouldn't know that based on the random links my blog gets to TOP 100 DIETER lists. And also maybe I just couldn't stick to a certain topic for years on end. That said, I like how my blog has evolved into what it is today - a place you can come to read about everything from running to knitting and everything in between...with the additional bonus of cute dog pictures. Labeling is an interesting thing. I wonder if people like to claim a label in order to feel like they belong to something? Nothing wrong with that, but I've been on the outside of being labeled for most of my life, so being unlabeled feels normal to me. What about you - do you claim a particular label? Nope, there's no label that fits me and I wouldn't want it any other way. You and I are unique, we don't need labels, we don't need to belong to something. We are who we are and that's: great, fun, social, sweet people. Oh oh did I just put a label on us? Haha, I like your labels! 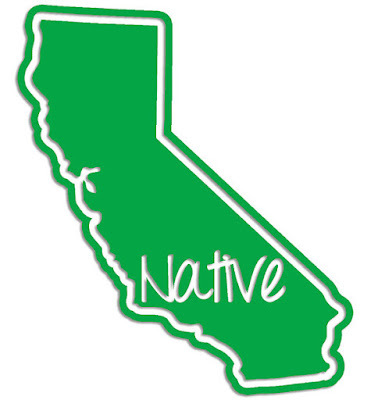 You ARE a native Californian. That's how I think of you, like, more native than me somehow, because you enjoy it so much. But I don't think of labels much, for myself or other people. Maybe because I didn't feel like I fit in very well in high school. I don't know. Wait! They offered FRISBEE in your PE classes??? Yes, Frisbee in P.E. Also ski conditioning. Gotta love NorCal in the 70s! I've loved how your blog has evolved Shelley - from when you did your personal training (I still don't like box jumps!) 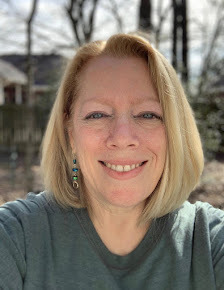 through your kids getting older, to knitting - that's why I keep coming back because your blog is like a box of chocolates, you never know what you are going to get! Hugs! I can totally relate to the generation thing (and actually have a draft post about this, since I've read a lot of articles about it recently) because I was born in 1981, right on the cusp of Gen-X and the Millennials. Most people my age +/- a couple of years don't really feel like we fit in to either generation, just as you feel. By definition I'm not a Millennial because I graduated high school in the 90's (and I don't really relate to a lot of the generalities about that generation), but had a totally different childhood experience than someone born at the other end of Gen-X (like you!). If we're talking birth-related labels, I'm also on the cusp of two different zodiac signs, so you can't even label me that way :) And in general, I think I'm pretty much all over the place in a lot of ways, so most labels don't really fit me. How interesting that you are in the same generational boat as me - and yet, it's like you are on a jet ski and I'm on a dingy. This Gen X classification is way too broad if we're both in it, LOL. I think of you as a Texan because that is the only place you have lived since I've been reading :D But I don't picture you with a Texas accent, interestingly enough. How funny, being a Texan is what I identify least with - even though I've lived here for 24 years now! I don't really have an accent, from what I've been told. I always considered myself a baby boomer also being born in 63. I think I relate better to baby boomers than Gen-X. Hated seeing the guy born in 63 being voted out on Survivor. I think I have a few labels: mom, nurse practitioner, runner, yogi, and blogger! I'll take them all. This is interesting. I wonder if other people label us more than we label ourselves? The only label I hate is being labelled as OLD. LOL. Catching up on long behind blog reading....love this post Shelley. And I love your blog. My "labels" like my life and my passions change over time. But for most of my life, I've flown under the radar and was unlabelled... LOL! For you, I'd say "runner" "texan" "knitter" "pet owner" "mom" "awesome"!!!! !